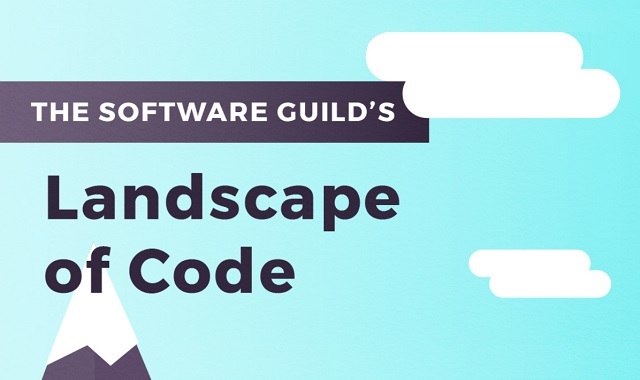 The Landscape of Code #Infographic ~ Visualistan '+g+"
Programmers are like linguists, studying foreign languages and reaching varying degrees of fluency. The Software Guild has added more than 600 new developers to the field since 2013 with our Java and .NET coding bootcamp programs. We help our apprentices prepare for their job search by offering resume help, interview training and networking opportunities with employers. This infographic was developed to help anyone traverse the coding landscape to learn more about some of the most popular programming languages used today.